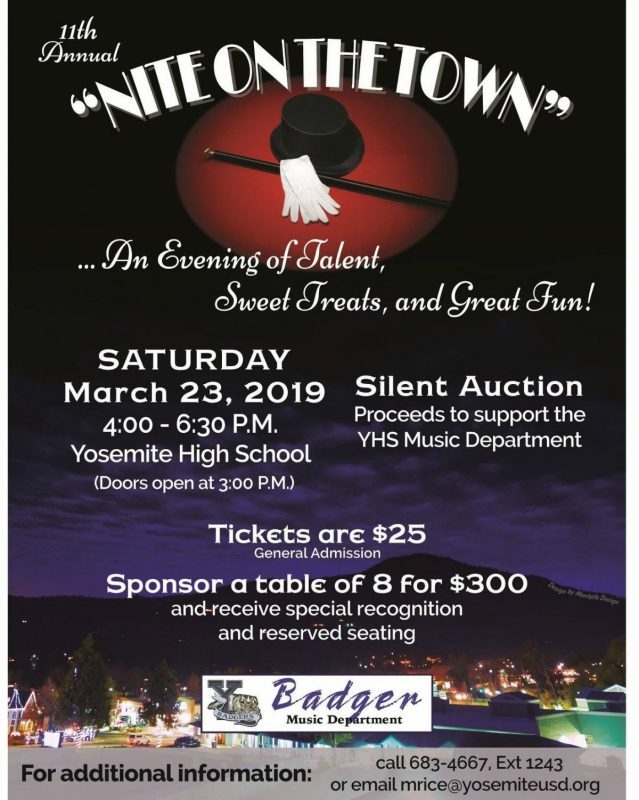 OAKHURST – Yosemite High School’s award winning music department is hosting the 11th annual Nite on the Town on Saturday, Mar. 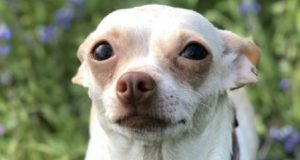 23 from 4 – 6:30 p.m. The extravaganza is held in the YHS gymnasium, transformed for one afternoon only into a fabulous bistro-style venue with entertainment in all directions. All proceeds benefit the Badger Music Department. Tix are $25 each in advance and $30 at the door, and include dessert prepared by the YHS Culinary Arts Department, as well as a chance to place bids in the lavish silent auction. It’s all hands on deck for this event, with YHS FFA creating flower arrangements to suit the mood. Doors open at 3 p.m. so you can arrive early, have a good look, and get situated. While this is in annual event, it’s the first time new music director Megan Rice has been at the helm for Nite on the Town. Helping to organize the event is YHS music booster Doug Hampton, and Yosemite Unified School District (YUSD) board member Stacey Montalto in a volunteer capacity. “The collaborative relationships between the YHS Music Director, Boosters, YUSD and Bass Lake JUESD administration, the student leadership of the YHS Band and Choir, and the Oakhurst Community Band, impact our community in so many ways and a smooth transition for the YHS Music Program has been orchestrated and performed with the support of all these players and more,” Montalto affirms, puns intended. There are still some tickets left, so come on out and support your local musicians and have a sweet time doing it. Call 683-4227 x 1243 for tickets.